I’ve recently had the pleasure of viewing Ryan Coogler’s “Black Panther” the night before its release date. I attended a viewing with The Table, a minority student organization at The King’s College. I was enthralled by this new edition to the Marvel cinematic universe. While the costumes, scenery, and performances took my breath away, I have to say that I was captivated by the heart behind the movie’s message. I’ve never felt so empowered by a Marvel film in my entire life. Not only did the film inspire me to dig deep into the roots of my heritage, but it also ignited a spark within me that I’ve attempted to keep hidden for so long. I’ve always stood in the middle ground when it came to my culture. Since my mother is from Grenada and my father is from Aruba, one would think that I was fully immersed in the West Indian culture. Unfortunately, this is not the case. Whenever I would visit my extended family in the islands, I stuck out like a sore thumb. I never knew how to cook ackee and saltfish or oil down. I couldn’t speak a word of Grenadian Patois or Dutch. In coming to King’s, I stood out for the most obvious reason: my skin tone. During my freshman year, I’ve felt the pressure to represent my heritage and prove my worth through my work ethic, business attire, and the way that I conduct myself as an African-American woman in a professional environment. This experience was all new to me. Even with a minority student organization on campus, I’ve gotten comfortable with allowing others to bring their solutions to the issue of racial division. I’ve self-consciously silenced my voice due to feeling inadequate about my personal experiences as a young, African-American woman. After watching Black Panther, the voice that I was attempting to silence demanded to be heard. I found solace with the two main characters of the film: T’Challa (Chadwick Boseman) and Erik Killmonger (Michael B. Jordan). Although these characters were polar opposites, they shared the same sentiments when it came to their personal experiences. They both faced injustice in their lives. 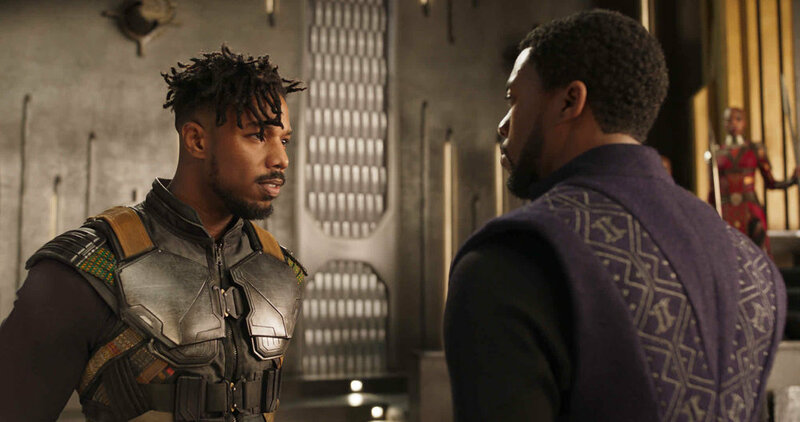 While T’Challa faced deception and pressure from his family’s culture, Killmonger also dealt with various racial injustices within the American system. As I witnessed the story’s progression and how the characters played off of each other’s strengths and weaknesses, I noticed just how dangerous the effects of bitterness can be in rectifying those wrongs. Killmonger sought retribution for the injustices he faced; he was fueled by the hatred and animosity he had toward those who oppressed him and his ancestors. He allowed his rage to thwart his mission to restore unity between the oppressors and the oppressed. 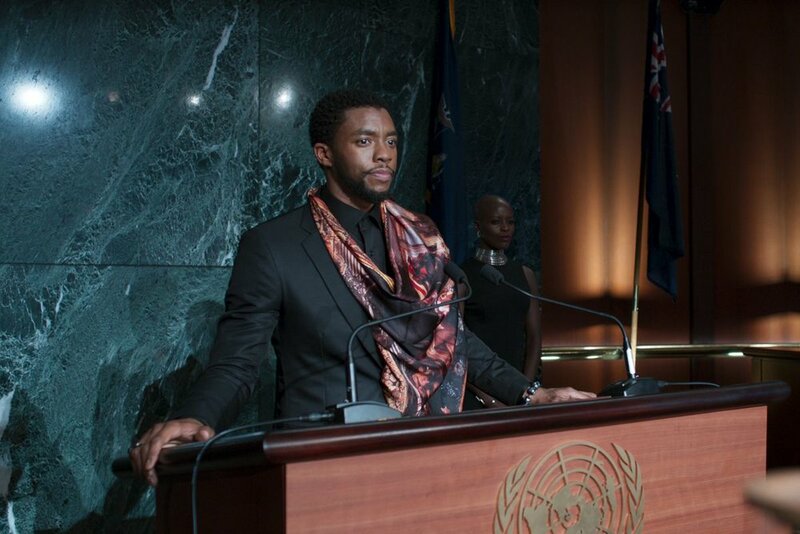 T’Challa, being the noble king that he is, recognized a fundamental issue with allowing bitterness to overpower the need for grace. I am not going to deny that there were many inhumane acts that were done to my ancestors, including slavery, segregation, lynching and many more tragedies. It’s easier for us as African-Americans to victimize ourselves and compromise our truth for the sake of “conforming to the pressures of society.” Like Killmonger, we can allow our hate to blind us into becoming extremists, who long to “stick it to the man.” It’s easy to be enraged over these sensitive topics. It’s easy to point fingers and go on a rampage to bring reconciliation through violence. We do have a right to feel the pain of the scars from the dark past of our heritage, but what we cannot do is allow that hate to cause more division. I am not the ideal activist. I haven’t experienced the sting of the whip on my back or the anguish that comes with being sold into slavery. I may never know the extent of the sacrifices that many Civil Rights leaders had to make in order to ensure my freedom in the present day. While I don’t share in these experiences, I carry the truth of my Heavenly Father. My voice is not confirmed by how angry or passionate I get about these issues. My voice is not invalid just because I'm not “woke” enough to participate in certain discussions. My voice is validated once I “walk in love, as Christ also has loved us and given Himself for us, an offering and a sacrifice to God for a sweet-smelling aroma” (Ephesians 5:2 KJV).